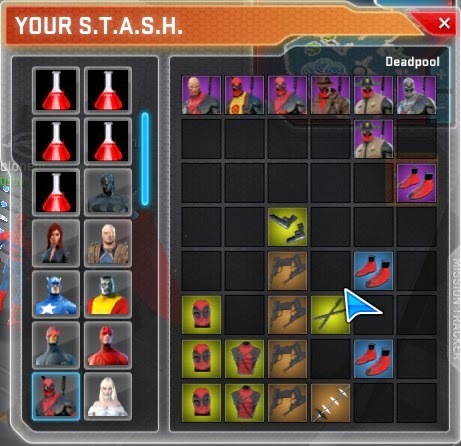 Dr Jengo's World: Marvel Heroes Diary: Jan 19 2014 - Rewarding X-Defense! Marvel Heroes Diary: Jan 19 2014 - Rewarding X-Defense! X-Defense Appreciation Week is on! And it has been very rewarding as promised! Got a Hand of Doom Artifact drop from one of the Doombots. 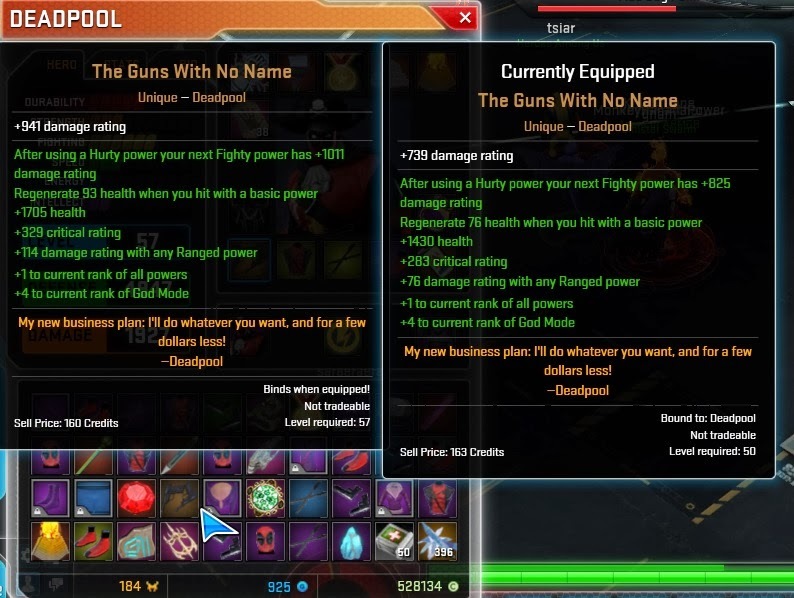 Not bad, a good artifact to increase Deadpool's damage. Better stats than the one I'm currently using. A improvement in all areas apart from the "+ to current rank skills". For some reason I keep getting this unique..
That's 5 including the one equipped with Deadpool now.. Finally found a Cosmic Boots for Deadpool..
Actually liked some of the stats on the Epic Boots better like the 13% SIF and +4 More Bullets but I needed more spirit for him so had to trade. Decided I should keep the Epic Boots in case I change my mind. With Deadpool being pimped up with his new set of items, I thought I should do 1 better..
For 200 Eternity Splinters, that's quite a small upgrade but I guess if I keep doing it, it might be worth it. Played too much X-Defense that I didn't have time for Legendary Quests.. but managed to get my Crafter Level to 16 with all that loot!